Well, that's one of the nicer ways of putting it isn't it - lol?! For this card I started out with a white piece of card stock and sponged on some green ink with the Farmhouse Greenery stencil. Then I wrapped around some gingham ribbon (from my stash) and matted onto a black card base. 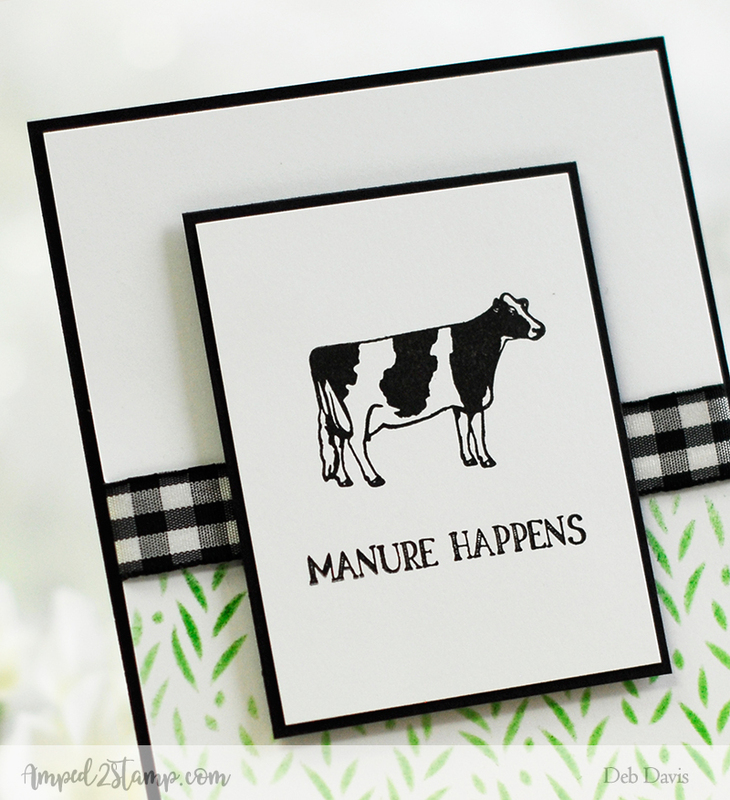 The cow and sentiment are from the Farmhouse Vases set and were simply stamped in black ink. Hope you enjoyed this play on words using the Farmhouse Vases stamp set. Have a great day!